Department of Automotive Engineering, Hubei University of Automotive Technology, Shiyan, 442002, China. 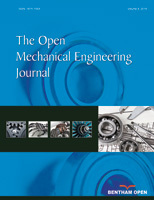 A new belt transmission mechanism, having the function of no-slip driving, is described in the paper. It is composed of pulleys with carved rails and belt with rolled pins spaced out on both sides. Firstly, the trajectory curve is deduced along which pins embedded in the pulley. And then, parametric relationships are established, which are about center offsets of two pulleys, working radius of each pulley, the number of meshing curves on every pulley and the number of pins on the belt. All of those provide a theoretical basis for the design of this type of no-slip belt transmission mechanisms.